Vickerman 4.5' Tinsel Red Artificial Christmas Tree Featuring 250 red Dura-Lit lights. 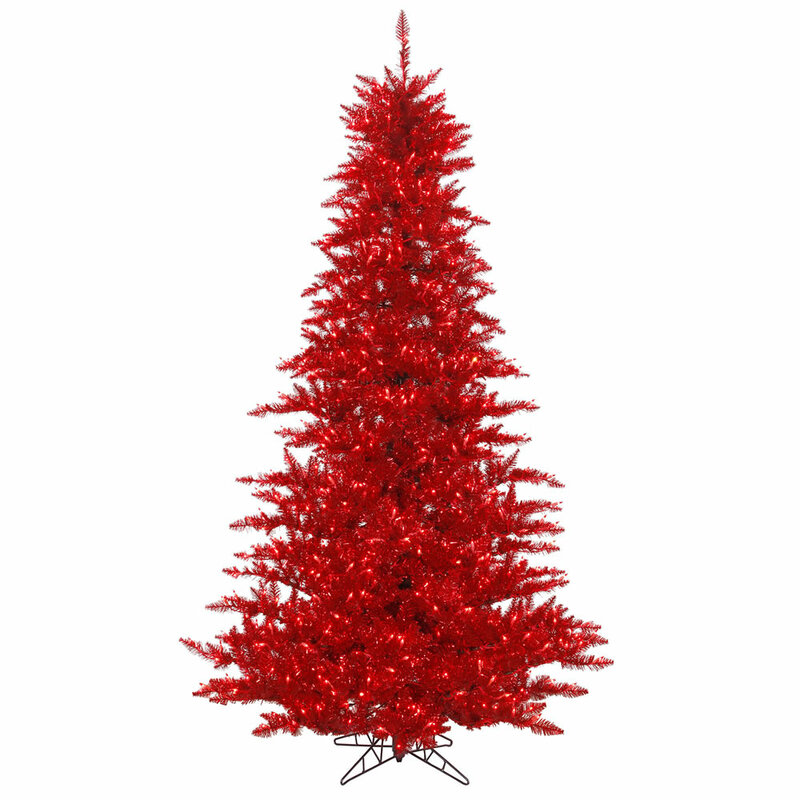 4.5' Tinsel Red tree featuring 525 PVC tips and 250 red Dura-lit Style lights on red wire. Comes with a metal Stand and a convenient on/off step switch to control the lights.